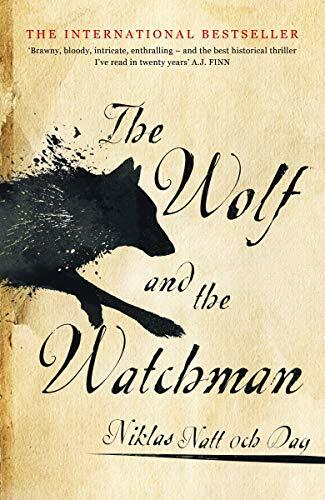 This is my review of The Wolf and the Watchman by Niklas Natt och Dag. With review copies of books I do try to avoid looking at information about the story before I read it. I’d rather find out for myself what a book is about. In this case I knew that it was a story about the investigation of a murder in 18th century Stockholm. For a while I found the story a little unclear but the characters seemed interesting and it was certainly enough to keep me reading. There are two main characters here, Mickel Cardell and Cecil Winge. As the book develops they become increasingly interesting and well rounded characters. Cardell was a watchman, has lost an arm in war and is a somewhat physical man. Winge was a brilliant lawyer and is a consulting detective to the police. Cardell is the first person in authority to find the body – a somewhat unusual one! Winge is asked to look at into murder by the police and they work together on the case. As a team they work together very well and there is a good dynamic. The book is actually split into four parts with the first and last part dealing with the investigation into the murder. Parts 2 & 3 deal with other people whose stories seem likely to come together. As I read through this story I realised just what a rich cast of characters it contains. Despite being a historical story – a genre I read less often – I became caught up in the events of the 18th century. I guess this is something of a caveat. This book is extremely vivid in its depiction of life in the era and the place. There are times when I think I would have to call it vividly unpleasant. It’s not a book I will forget in a hurry. However equally there are some scenes I now have in my head that I would probably prefer not to have there. I must stress that the descriptive writing here is excellent but I do think that some people could find it too vivid. I think this book will be appreciated by many. On the other hand there will be people who simply do not like the gritty nature of the narrative at times. I am a little unsure which camp I fall into however I have no regrets about reading it. The characters alone carry this book very well for me particularly Winge and Cardell.